Gu sear air Croy Fort air Balla Antonine, tha Westerwood Fort agus Castlecary Fort. Bidh sibh eòlach air Castlecary, ’s dòcha, oir ’s ann tric a bhios sinn a’ cluinntinn mun trafaig sgriosail air an M8 aig na Castlecary Arches. Bha MacBhàtair dhen bheachd gun robh an t-ainm Breatannach agus gu bheil e a’ dèanamh iomradh air an dùn a thog na Ròmanaich. Tha cary a’ tighinn bho caerydd – a’ ciallachadh dùin no forts. Chan eil dad air fhàgail dhen ath dhùn – Seabegs, ach gabhaidh an dìg faicinn, agus faodar coiseachd air an rathad a thog na Ròmanaich ri taobh a’ bhalla. Tha mi an dùil gu bheil Seabegs a’ tighinn bhon Ghàidhlig Suidhe Beag. Tha cuid dhen bheachd gur e an ath phìos dhen bhalla – aig Rough Castle – am pìos as drùidhtiche a th’ ann. O chionn trì cheud bliadhna, ’s e Castle Ruff a chanadh muinntir an àite ris. Ainm Gàidhlig eile, ’s dòcha. No Breatannach? Tha am balla a’ dol seachad air Falkirk Fort – Dùn na h-Eaglaise Brice – gu ruige Mumrills Fort, an dùn as motha. Tha e a’ còmhdachadh sia acaire de dh’fhearann. Lorgadh crèadhaireachd is buinn ann, agus ìomhaigh de Hercules. Tha eagal orm nach eil fios agam cò às a thàinig an t-ainm Mumrills. Chan eil ach trì dùin air fhàgail. Tha Inveravon Fort faisg air Inbhir Ghrainnse. Gu dearbh, tha e faisg air beul Abhainn Avon – seadh, agus cha leig mi leas dad a ràdh mun ainm sin. ’S e Amar-uisge Avon an t-amar-uisge as fhaide ann an Alba. Tha e a’ giùlain Canàl an Aonaidh os cionn na h-aibhne. Gu sear air Inveravon, tha Kinneil Fortlet, an dùn mu dheireadh air Balla Antonine. Tha Carriden Fort faisg air cladach Lodainn, ach tha sin beagan gu deas air a’ bhalla. Bha an dùn ann an Kinneil air a lorg ann an naoi ceud deug, seachdad ’s a sia (1976). Tha e a-nise am measg naoi dùin bheaga a chaidh a lorg. Thathar a’ smaoineachadh gur ann aig na dùin bheaga seo a bha cead aig daoine dhol a-mach ’s a-steach do dh’Ìompaireachd na Ròimhe. Tha an t-ainm Kinneil gu math inntinneach. Tha mi a’ dol a chur Ceann a’ Bhalla air ann an Gàidhlig. Chì sibh carson ann am mionaid. Tha MacBhàtair ag innse dhuinn gun do sgrìobh Bede anns an ochdamh linn gum b’ e an t-àite as fhaide sear air Balla Antonine Peanfahel. Co-dhiù b’ e sin an t-ainm a thug na “Cruithnich” dha. Timcheall air a’ bhliadhna ochd ceud (800 AD), sgrìobh Nennius gur e guaul a chanadh na Breatannaich ris a’ bhalla. Thàinig guaul (no gwal ann an Cuimris an-diugh) bhon Laidinn vallum. Sgrìobh Nennius gun robh am balla a’ tòiseachadh aig Penguaul. Nise, tha sin a’ ciallachadh ceann a’ bhalla. Tha MacBhàtair dhen bheachd gu bheil an fhianais a’ dearbhadh gun robh Gàidhlig a’ gabhail àite na “Cruithnis” anns an sgìre sin timcheall àm Bhede. Tha Peanfahel a’ riochdachadh Pen-fàil – end of the rampart, agus ’s e measgachadh a th’ ann de “Chruithnis” is Gàidhlig. 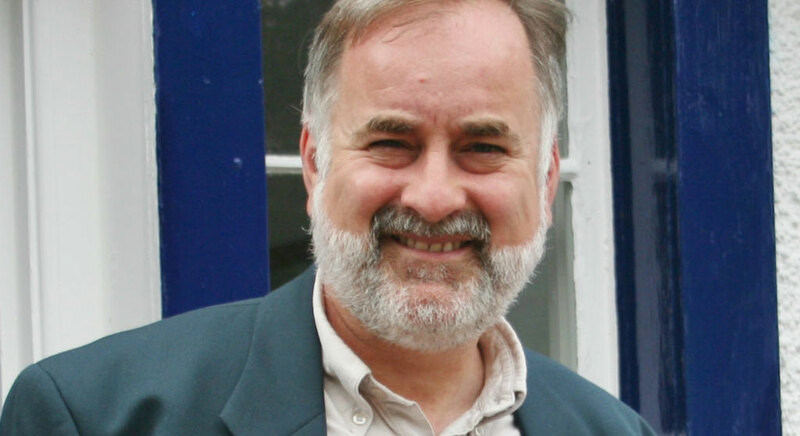 Timcheall air a’ bhliadhna naoi ceud (900), tha pen a’ falbh agus tha cenn – airson ceann – a’ nochdadh na àite. Mar sin, tha Pen-fàil ag atharrachadh gu Cenn-fhàil agus, an-diugh, Kinneil ann am Beurla. Sin deireadh ar sgrìob air Balla Antonine. Bha am balla air a chleachdadh dìreach fad ginealach leis na Ròmanaich, ach dh’fhàg e dìleab mhòr dhuinn. Faclan na Litreach: ìomhaigh: statue, image; amar-uisge: aqueduct; mu dheireadh: last; MacBhàtair: [William J] Watson [“The Celtic Place Names of Scotland”]. Abairtean na Litreach: gu sear air: to the east of ; bidh sibh eòlach air: you’ll know; trafaig sgriosail: terrible traffic; gu bheil e a’ dèanamh iomradh air an dùn a thog na Ròmanaich: it gives an account of the fort the Romans built; dhen ath dhùn: of the next fort; faodar coiseachd air an rathad: one can walk on the road; am pìos as drùidhtiche: the most impressive part; a chanadh muinntir an àite ris: that the local people called it; lorgadh crèadhaireachd is buinn ann: pottery and coins were found there; cò às a thàinig an t-ainm: where the name came from; cha leig mi leas dad a ràdh mun ainm sin: I don’t need to say anything about that name; a’ giùlain Canàl an Aonaidh os cionn na h-aibhne: carrying the Union Canal above the river; am measg naoi dùin bheaga a chaidh a lorg: among nine fortlets which were found; dhol a-mach ’s a-steach do dh’Ìompaireachd na Ròimhe: to enter and leave the Roman Empire; gum b’ e an t-àite as fhaide sear air Balla Antonine X: that X was the place furthest east on the Antonine Wall; a thug na “Cruithnich” dha: which the “Picts” gave to it (Bede called them Picts but they were properly British or Cumbric); gu bheil an fhianais a’ dearbhadh: that the evidence proves; gun robh Gàidhlig a’ gabhail àite na “Cruithnis”: that Gaelic was displacing “Pictish”; deireadh ar sgrìob: the end of our journey; air a chleachdadh dìreach fad ginealach: used only for a generation; dh’fhàg e dìleab mhòr dhuinn: it left us a great legacy. Puing-chànain na Litreach: a little point this week about another name in Scotland for the Antonine Wall – Grim’s Dyke, sometimes corrupted to Grahamsdyke. A 14th Century account tells us that Gryme was a grandfather of King Eugenius, but both these characters appear to be mythical! George Buchanan wrote in the 16 th Century that Graeme was a Celtic leader who broke down the wall, allowing his people to invade the Roman lands. A recently published book says that “the real derivation... may be more prosaic. The Gaelic word grym means strong”. Mmm. Well, it’s not in my dictionary... I think the author meant “Welsh”, in which language grym means “strength”. Any thoughts on those?! I’d love to hear from you – roddy.maclean@bbc.co.uk. Gnàthas-cainnt na Litreach: Tha eagal orm nach eil fios agam: I’m afraid I don’t know.